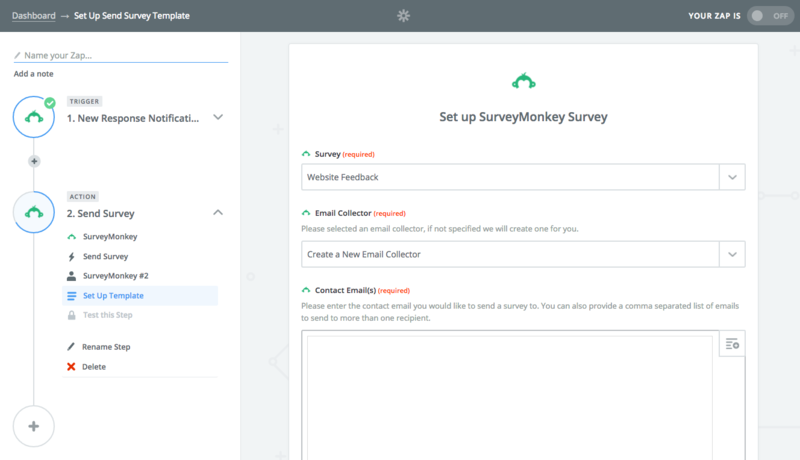 The Zapier integration provides a number of SurveyMonkey actions, triggers, and searches you can use to automate processes and connect SurveyMonkey with other apps by creating a Zap. A Zap is a connection between two apps made of a trigger and an action or search. Whenever the trigger event happens, Zapier will automatically make the action or search event happen for you!